“I was looking up to UWC students my whole life,” recalls Abbey, 16, the daughter of the Christ-Rowling family of four from Metchosin. Being part of the program enriched the entire family. “We cook, eat, sing and laugh together. We meet such amazing young people and have wonderful memories. We also learn so much from every one of them. Our family traditions throughout the year evolve with every new student,” explains Dayna with a warm smile. In 2016, Abbey, who attended public school in the Sooke School District surrounding Pearson, made the first step towards her goal of becoming a UWC scholar by participating in the Pearson Seminar on Youth Leadership (PSYL) program. At PYSL, Abbey met other current and future UWC students from all over the world. Inspired by the program, she decided to apply. ”The mindset of the program was what impressed me the most. I learned that you can go and do anything. It was so powerful. We also had lots of fun”, she explains with a laugh. Abbey will be attending UWC Waterford Kamhlaba in Swaziland in January 2018 and is beyond excited. She is thrilled to be learning from the country’s culture, the UWC community as well as taking up the challenging IB program. “I hope to one day make the same positive impact that so many UWC students have made on me. Good luck to you Abbey and thanks to your entire family for being valued volunteers and part of our extended family. 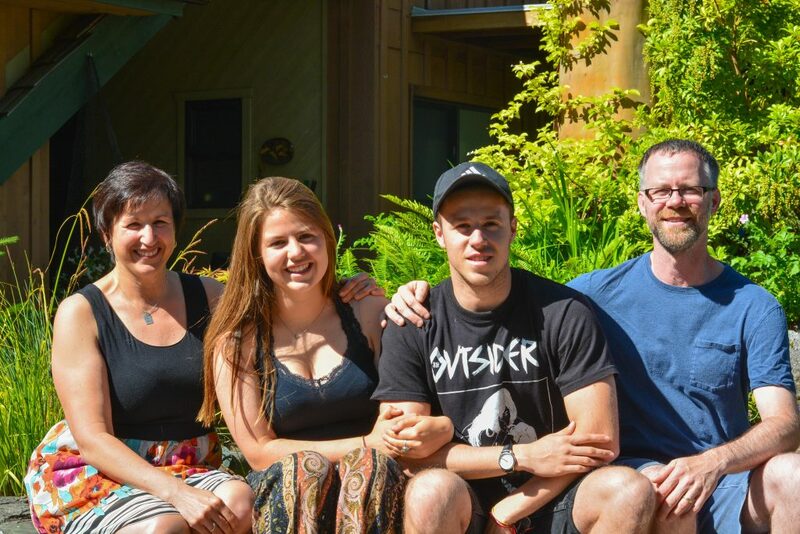 Host Families are local volunteers who play a vital role in the Pearson College UWC community by providing a home away from home and a much-needed respite for students during scheduled academic breaks. Most students are far away from their own families, many for the first time. Participating families welcome students into their homes for a night, a weekend or for a longer break. For students, it’s a respite from campus studies and a chance to develop close relationships with Canadian families. Many students describe their time together with local families as one of the most rewarding experiences of their two-year stay at Pearson College UWC. To become a Host Family or to learn more about the program, contact our Host Family Coordinator at 250-391-2481 or by email.